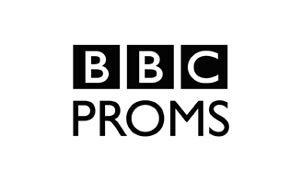 My quintet’s performance at the Elgar Room, Royal Albert Hall as part of the BBC Proms last Friday was broadcasted on Radio 3 two days ago. You can listen to it online for the next few weeks here. Our next gig will be at Charlie Wright’s Jazz Bar on Wednesday 3rd September, along with the Ben Cox Band. I am also lucky to have been selected for the final of the annual Worshipful Company of Musicians Jazz Medal, along with Phil Meadows (alto sax), Nadim Teimoori (tenor sax), Tom Green (trombone), Sam James (piano) and Moses Boyd (drums). The final will consist of all six of us will be performing two sets of music together at Pizza Express in Soho on Sunday 21st September (tickets are available here), after which the audience votes and decides on the winner. Don’t miss out! This entry was posted in News on August 22, 2014 by Misha Mullov-Abbado.